You know when you've got a place in the back of your mind because you've wanted to go for ages? Well Bún was one of those. Because of its popularity and very limited space I tried and failed going here so often that I almost gave up. But on my birthday, I was feeling lucky.. and I got lucky too. We grabbed the only table outside (okay it was pretty cold that day) and tucked into our long-awaited Vietnamese meal. 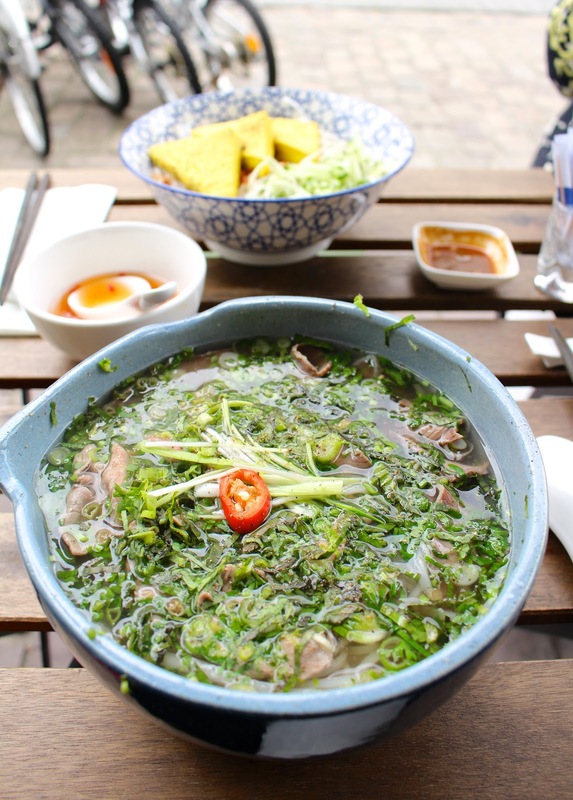 Bún is kind of the love child of Hoa and Huibrecht. 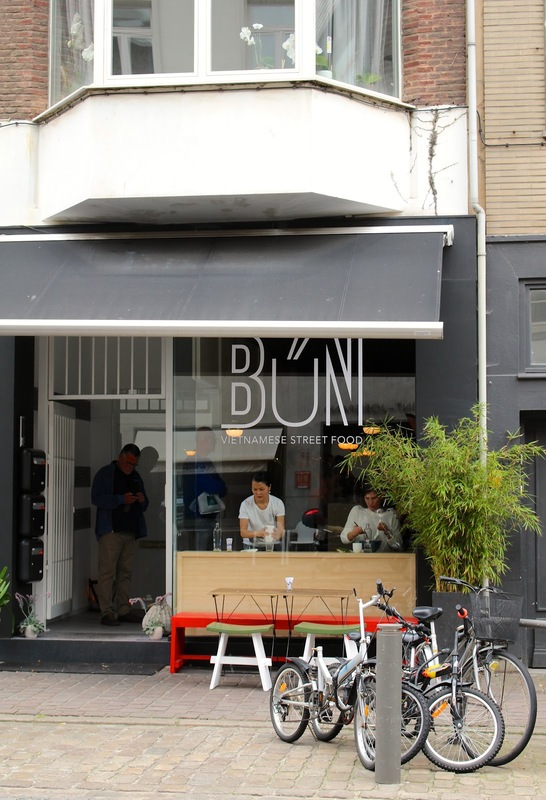 After having much experience in different top restaurants, they decided to set up their own little place in Antwerp in 2014, serving up the city's best Vietnamese street food. I can't find this back on the online menu but this was a pillowy soft steamed bun filled with beef mince. It came with a sticky (hoisin?) sauce which was SO YUM. This was my favourite starter! Then came the rice paper rolls with rice noodles, veggies and shrimp. I've had rice paper rolls very often and I can't say I was impressed with these. They were good but not very special or memorable. I think more fresh herbs and less rice noodles would have made them a little more interesting. How funny is this little shrimp head though? The last starter was grilled corn on the cob with spicy peanut crumbs. Sweet corn is something I always eat on my birthday, kind of like a tradition, and this version was really delicious and something different than usual! After a bit of a wait, our mains finally arrived. My parents wanted to continue with eating vegan (I decided to eat all I wanted on my birthday) so they had the rice noodles with homemade tofu. I didn't try the dish but had a little piece of tofu. Though the tofu looked nicely spiced it was still a little flavour-less for my taste. 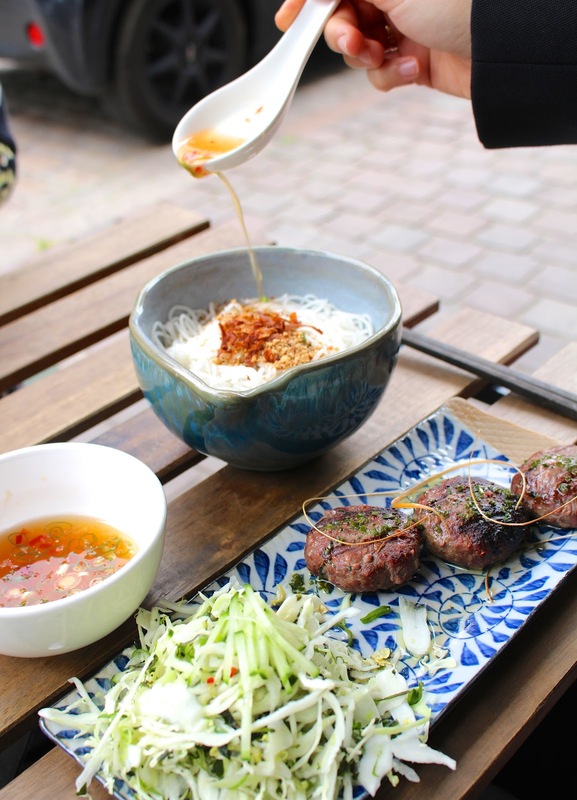 My sister chose the Bún bò viên nướng, which are rice noodles with beef meatballs. As you can see the main dishes are really big! If you go it's good to consider either taking only one main dish or sharing some starters and a main together. I had a maaasive bowl of Phở bò, rice noodle soup wiht slices of beef. Super comforting, warm and well spiced. You get a little dish on the side to spice it up some more as you please, super smart! There's also an option of taking a small bowl of soup which is better since this bowl could probably feed at least three people. 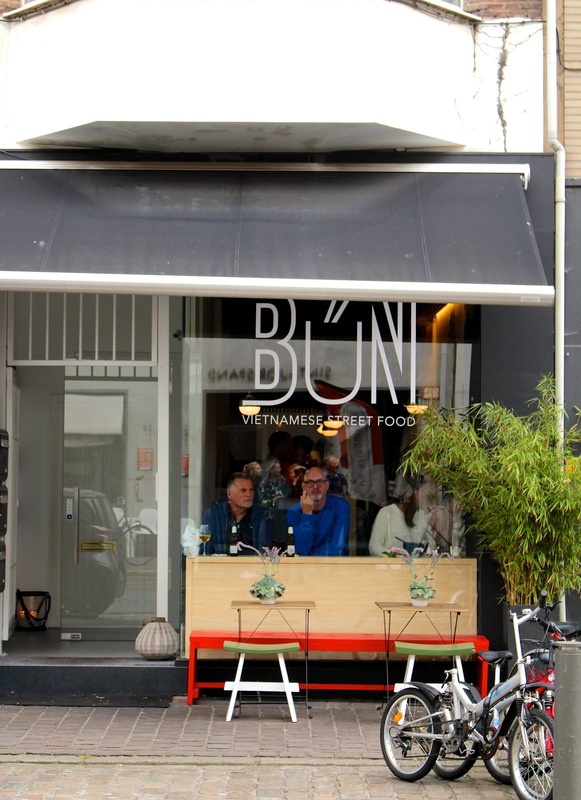 Overall, I liked Bún, but I wasn't blown away. Maybe it's because my expectations were too high after hearing so many good things, or maybe I've been way too spoiled by other great Vietnamese food. All the food is fresh and made with good ingredients, you can really taste that. But the flavours were sometimes not 'present' enough, which is something you'd expect from Vietnamese food. Also, considering they serve up 'street food', the prices are a little steep in my opinion. Street food should be quick, easy and cheap, right? Nonetheless, I do understand the hype, because there's not much 'proper' Vietnamese food in Antwerp. Maybe I'll just have to go again for a second opinion! Anyhow, I still recommend to try it yourself, info & details here. Dinner reservations are a must!